Home of the Detroit Lions for more than 25 years, the Silverdome was one of the largest stadiums in the NFL. Prior to moving into the Silverdome, the Detroit Lions had played at Tiger Stadium since 1938, that was also the home of the Detroit Tigers (MLB). Tiger Stadium was primarily a baseball stadium, but served as the home to the Lions for more than 30 years. In the late 1960s, the team wanted a new football only stadium. After several bonds were passed allowing the team to build a stadium, the Lions bought land in nearby Pontiac, MI. Because of the area’s cold winter weather, the team decided to build a domed stadium. Construction on the stadium, named the Pontiac Silverdome, began on September 19, 1973 and was completed in 23 months. Opening day for the Lions at the Silverdome was on October 6, 1975. The Silverdome became the largest stadium in the NFL with a capacity of 80,311. Three tiers of blue seats circled the entire Astroturf playing field. 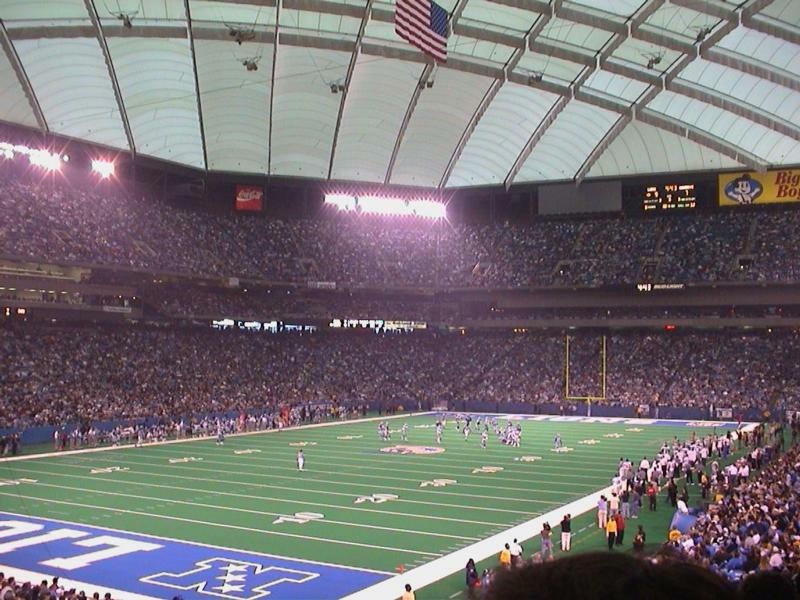 The roof at the Silverdome consisted of Teflon-coated fiberglass panels. In 1985 after a heavy snowstorm the roof was structurally damaged. However over the next several months a new canvas and steel-girder reinforced roof was added to prevent the problem from occurring again. The Silverdome had several amenities that included 93 executive suites and a club restaurant. 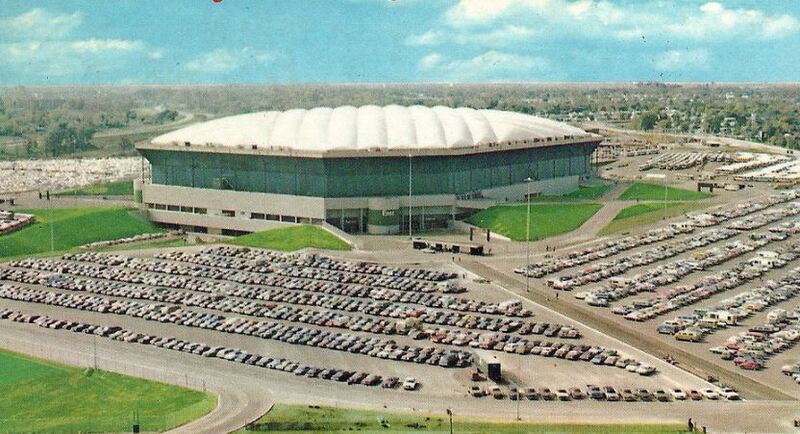 Other than hosting football games, the Silverdome hosted many other events including tractor pulls, soccer and basketball games, and concerts. The first Super Bowl played in a northern city, Super Bowl XVI between the Cincinnati Bengals and San Francisco 49ers, was played at the Silverdome. In the mid 1990s, the Lions became dissatisfied with the Silverdome. By 1997, bonds were passed allowing construction of a new domed stadium in downtown Detroit. The Lions played their final game at the Silverdome on January 6, 2002. The team moved into Ford Field in August 2002 and the facility remained vacant until 2017. In Winter 2017 the Pontiac Silverdome was demolished. The site will be redeveloped.